Schools should note that the Department of Education and Skills has advised that it is a matter for each individual school authority to use their discretion as to the timing of the closures within this academic year. Schools may also combine both half-days into one full-day school closure, to be taken during the current school-year. Click on the image below to open PDF file. On October 2nd 2017, The Minister for Children and Youth Affairs, Katherine Zappone T.D. launched Children First 2017. The document supersedes Children First 2011 from December 11th 2017, following the full commencement of the Children First Act 2015. Schools may engage with the dedicated PDST on-line resource to guide them through the revised Department of Education Child Protection Procedures for Primary & Post-Primary Schools 2017. The PDST ELearning Programmes are now available. Tá na gCláir ríomh-Fhoghlama le fáil anseo. Schools may engage with the 90-minute Universal e-Learning programme developed by Tusla which is available to schools by clicking the link below. This programme was written to support all personnel, regardless of profession, in recognising concerns about children and reporting such concerns, as required. One full-day, face-to-face seminar for Designated Liaison Persons (DLPs) and Deputy Designated Liaison Persons (DDLPs) which will facilitated in Education Centres commencing Mid-March 2018. Schools will be sent dates from their local Education Centre shortly. Child Protection issues are explored in the primary school through various initiatives. 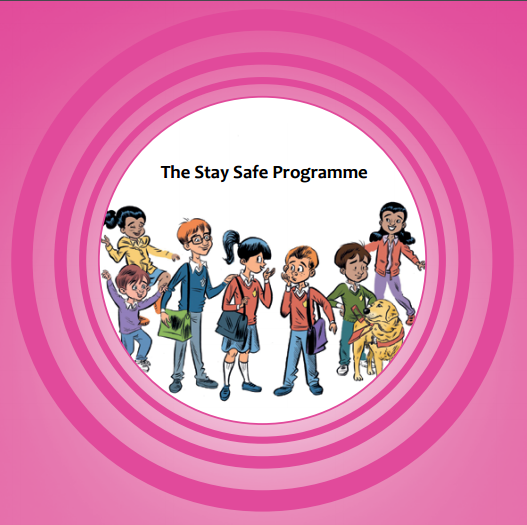 The Stay Safe Programme and supporting Teacher Resources, Relationship & Sexuality Education support materials and the Webwise website can all be accessed below.